Our shop is TVA and U.L. certified & we are members of the Electrical Apparatus Service Association (EASA). In 1965 The Aluminum Company of America approached National Electric Coil about providing a local repair plant to accommodate their repair needs. National Electric Coil purchased 5 acres in which there was a 15,000 square foot brick building that used to be ALCOA’s carpentry shop, and converted it to a motor repair plant. It has operated successfully since that time under the ownership and names; National Electric Coil, Cooper Industries, Magnetek, Eastern Electric, Grand Eagle, and now REMCO. On 3/1/02 the business and all of its assets were purchased by local management which has been in place since 1981. Over the years there has been steady sales growth due primarily to diversification of services and products offered. Our customer base includes long term relationships and contracts with TVA, ALCOA, Kimberly-Clark, Vulcan Materials , Rubbermaid and many other fortune 500 companies and utilities. REMCO has the unique ability to repair mechanical devices in addition to electric motor repair. 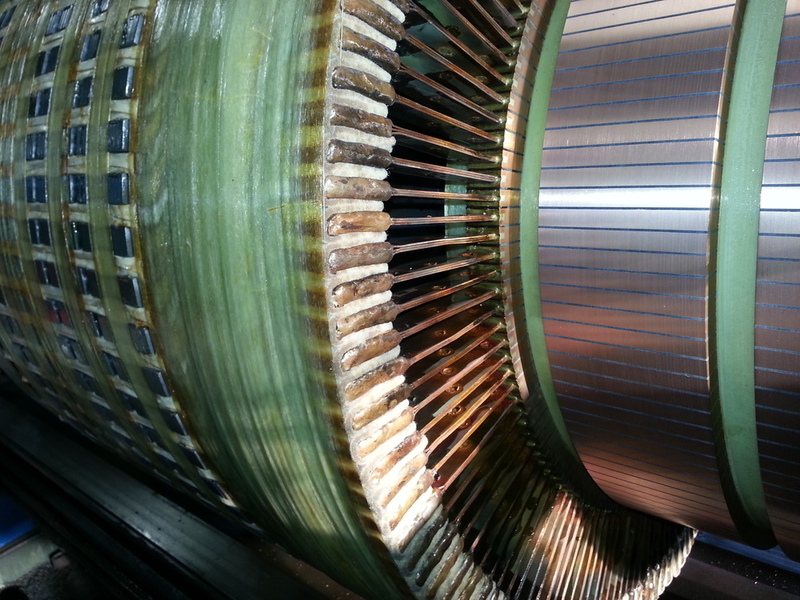 Our technicians have on average over 20 years experience and have been exposed to many large and technically challenging projects including Steam Turbine Rebuilding and Large Generator Rewinding. Many improvements have been made in recently such as a new industry specific software system to manage the business, new plant offices and conference room were constructed, plant wide painting, full load testing dynometer added, and upgrades to our company fleet. We are committed as owners to the success and self improvement of the company. We realize that to be successful we must be customer driven.